Virgin Media's Christmas listings include HD, 3D and box sets on demand | What Hi-Fi? Virgin Media has announced its December highlights for on demand content, including TV, movies, 3D and HD content, and the launch of its 'US Box Sets'. TV Choice on Demand will feature complete seasons of US shows such as the first seasons of 30 Rock, Heroes, House, The Office US and Lipstick Jungle. Movies on Demand will see films in HD, including Inception, The A-Team and The Twilight Saga: Eclipse. There's also 3D content to enjoy when you want, including Step Up 3D and Disney's A Christmas Carol 3D. Virgin is also keen to remind us that it's the only TV provider to offer catch-up TV services from all four terrestrial broadcasters, so BBC iPlayer, ITV Player, 4oD and Demand Five. To find out more about what's coming from Virgin this Christmas, head over to the Virgin Media website. Virgin Media has today announced a deal with Channel 5 to bring the Demand Five catch-up TV service to Virgin TV, including some HD content. 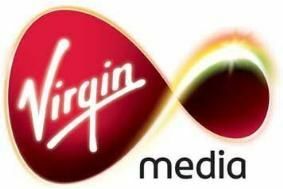 The deal means Virgin becomes the only TV provider to offer catch-up TV services from all four terrestrial broadcasters. Demand Five will be available for free to Virgin TV subscribers, with certain shows to come to mobile platforms in due course. Virgin's TV On Demand profile will now include Five shows such as The Gadget Show, Fifth Gear and Grey's Anatomy. The apparently 'ever-popular' Home and Away and Neighbours will also both be available in HD on Virgin's catch-up service. Virgin Media's TV On Demand library contains over 4,600 hours of TV, film and music, including 'hundreds of hours in HD'.